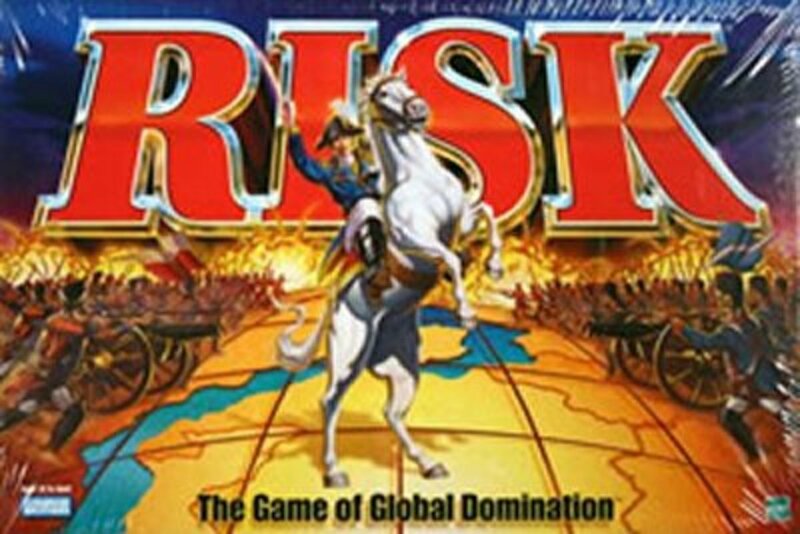 interpose one of his own. 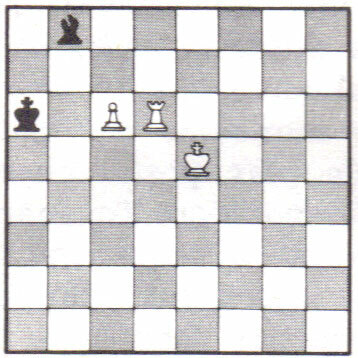 If he cannot do this freely it is 'checkmate' and the game is finished. 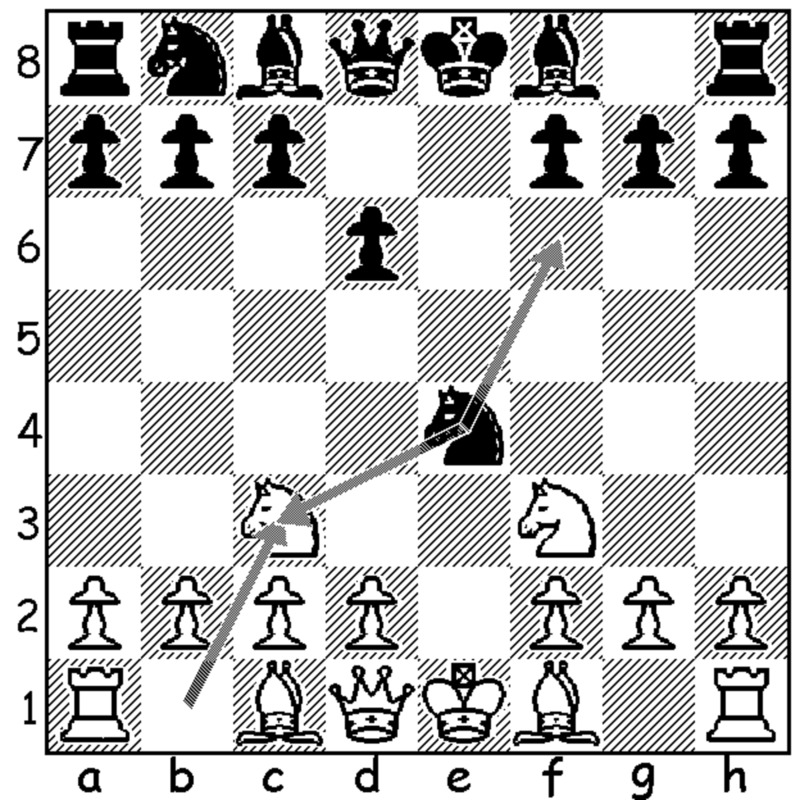 In the process of attacking the King, each player attempts to weaken the enemy forces by capturing pieces. 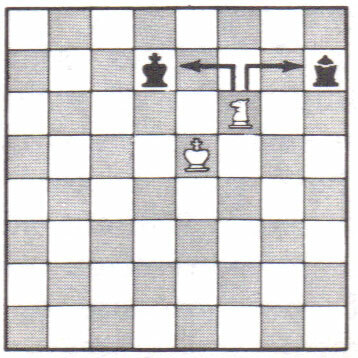 White's knight has just moved to attack the Black king and queen at the same time. 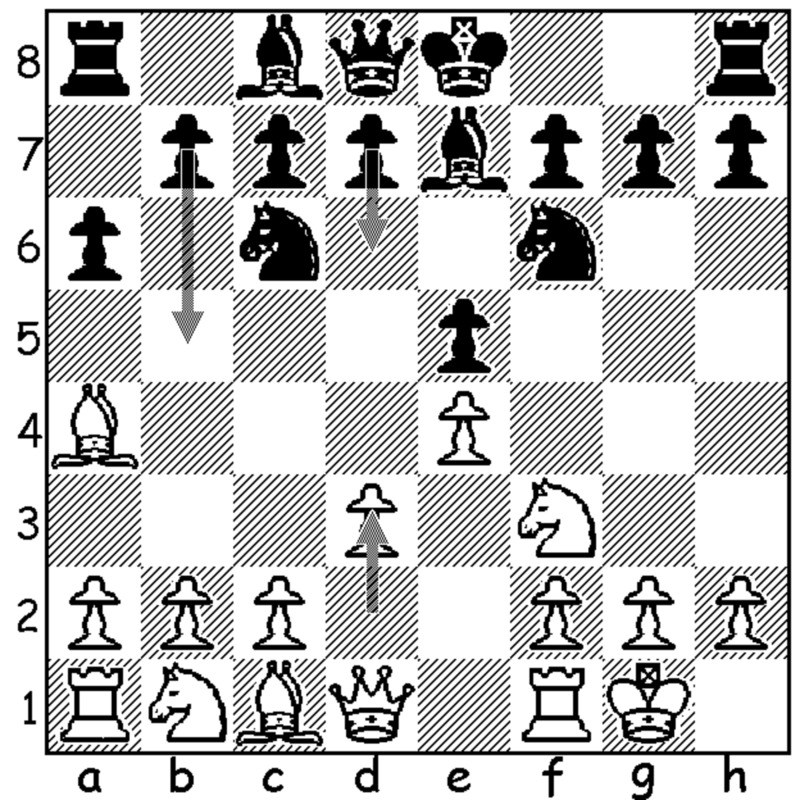 Black must move his king out of check, and the knight can take the Black queen on the next move. 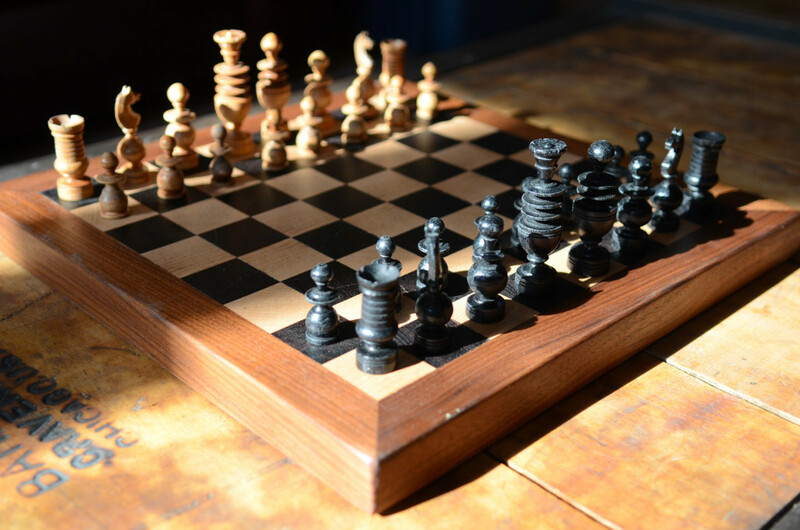 A good player must find moves that threaten several chessmen at the same time so that if his opponent protects one piece, he will lose another. 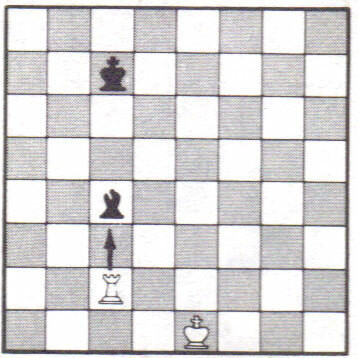 pawn takes the bishop next move. 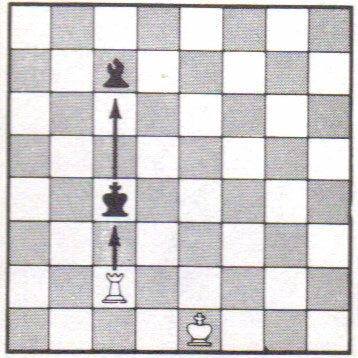 Black's bishop has been pinned against his king by the White rook. 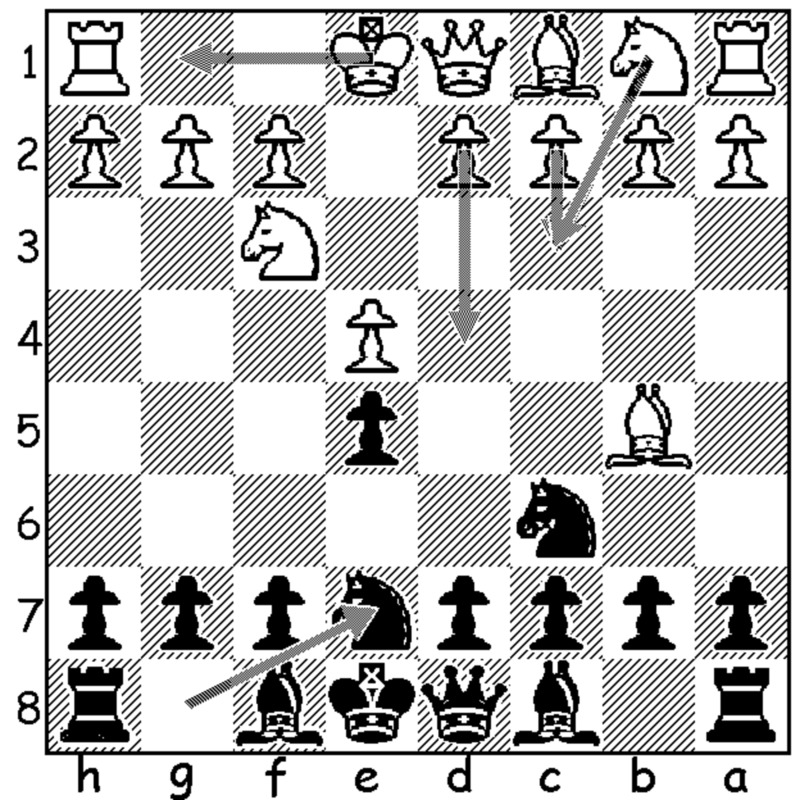 Black cannot move his bishop out of attack because he cannot make a move that would leave his king in check. 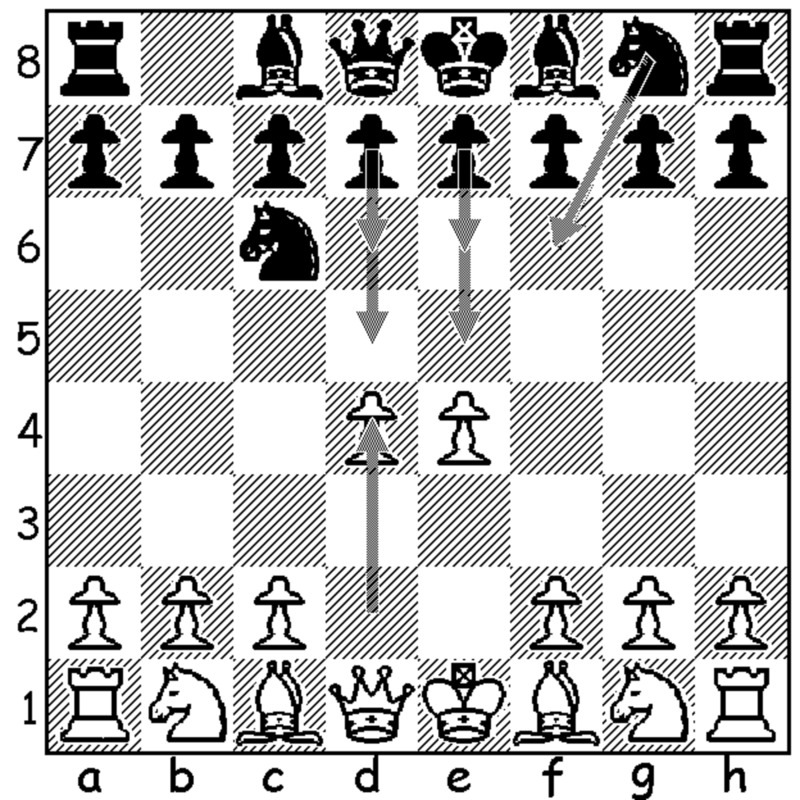 With the positions of the Black king and bishop reversed, White has an X-ray attack. 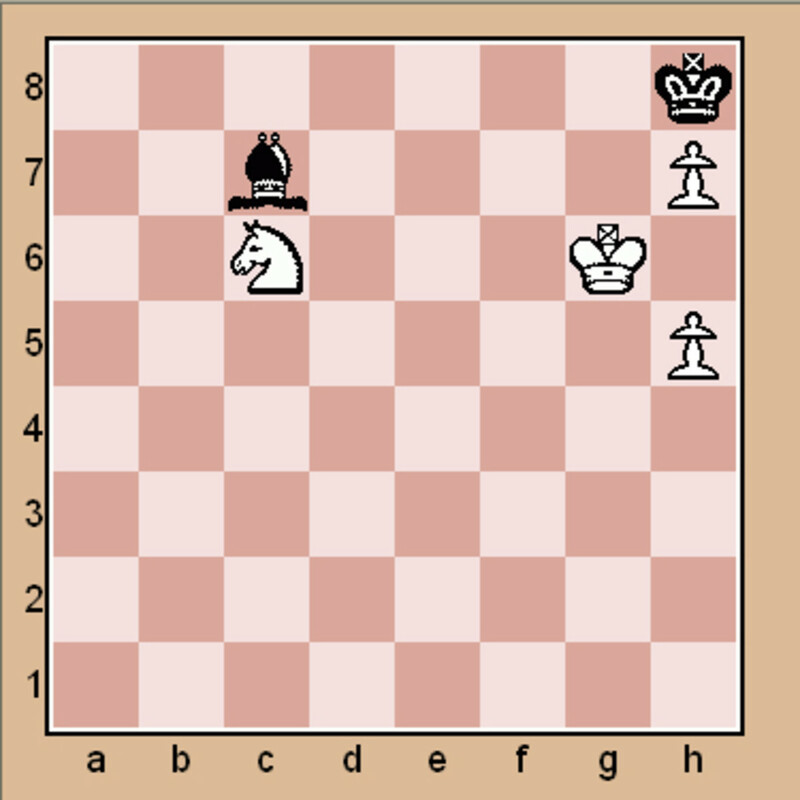 Black is obliged to move his king out of check, and then White's rook can capture Black's bishop.